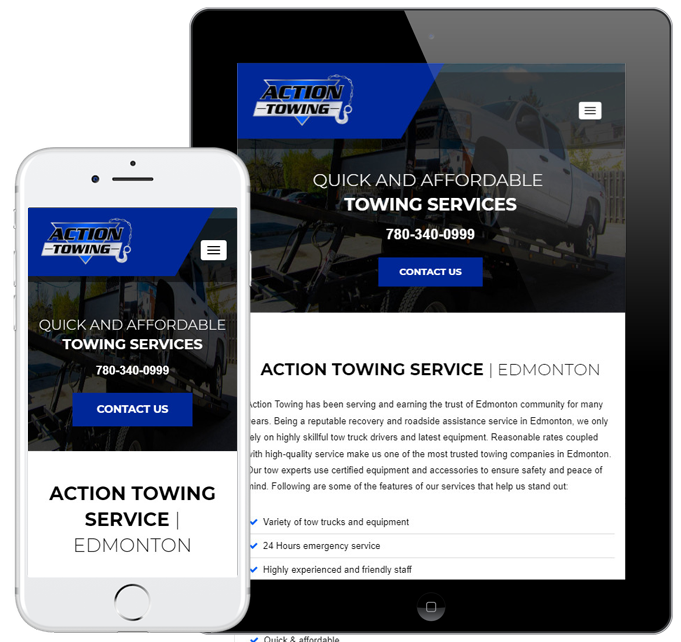 Action Towing provides reliable recovery and roadside assistance service throughout the Edmonton city. With highly skillful tow truck drivers, state of the art equipments, and strategic marketing efforts, the company has earned the trust and confidence of its customers throughout Edmonton and the vicinity. Our relationship with Action Towing Service is not more than five months long, but in the short span of time we have been able to prove our strategy’s mettle and generate great results for their business in the form of traffic, conversion, and organic exposure. From both the perspective of user experience and SEO the old website was quite below the mark. Its navigation, graphic elements, website copy and call-to-action elements were some of the factors that had an adverse effect on the website’s SEO performance and its user experience. Marketing, which is the heart of Action Towing Service’s current business success, was a neglected opportunity for them. We felt the need to building every aspect of their online marketing from the ground up. 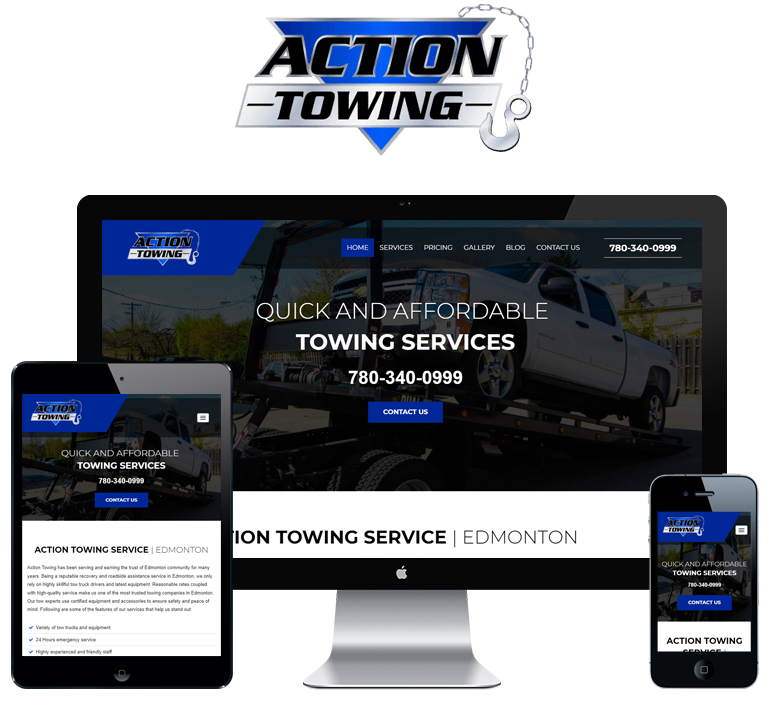 Action Towing Service, then, had no Search Engine (SEO) presence, Social Media Engagements, or any active advertising program that could help them generate leads for the business. As a result, they were unable to grow their business and compete with the other local players. The primary focus of our organic marketing efforts has been to get Action Towing Service a dominant exposure in the local searches. We did it quite well to their delight and brought some of their most valuable keyword to the first page of Google and other major search engines. Created their profiles on all the major local listings such as Google My Business, Yahoo Local , Yelp, Bing places, Yellow Pages, etc. Set up and managed a well rounded PPC campaign that included Search Network, Display Network and Retargeting. Our paid marketing service turned out to be the most successful campaign that helped improve Action Towing Service’s sales funnel and ROI in real time.